You're READY to uplevel your life, to start living on your terms, and to step fully into your POWER. Let's GOOOO! Together, we'll work on exploring and developing your purpose, we'll look at the best strategies used by peak-performers the world over for you to operate at your maximum capacity, and we'll take courageous and imperfect action to start creating a life that truly feels fulfilling and exciting to YOU. Life is meant to be GRAND. 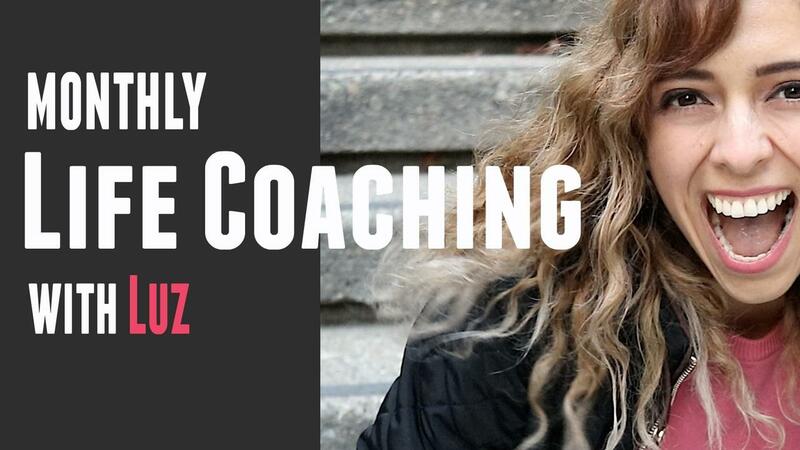 Live Coaching with Luz Gonzalez - 2 hours of live interactive coaching with Luz once a month! Structured Curriculum and Strategies - Takeaway valuable lessons, worksheets, strategies, and tools that you can start implementing in your life each and every month! An incredible community of other peak performers ready to say YES to their BEST life! Let Luz coach you every month and have your BEST YEAR YET. You deserve to fulfill your potential, to be healthy, happy, wealthy, and whole. Take action and sign up now so you join us for the next training! You CAN live an incredible life. You can be an authentic expression of yourself and LOVE living your life. You were meant to RISE and THRIVE. This is HOW we take action to make that life happen. Join today! If you don't LOVE the coaching program, just cancel anytime by sending my team an email. You can cancel any month and you won't be billed again. However, a cancelation does not refund previous months charges because we delivered for you! As long as you're subscribed to the monthly program, you have access to the members area with all of these resources! Pretty cool!